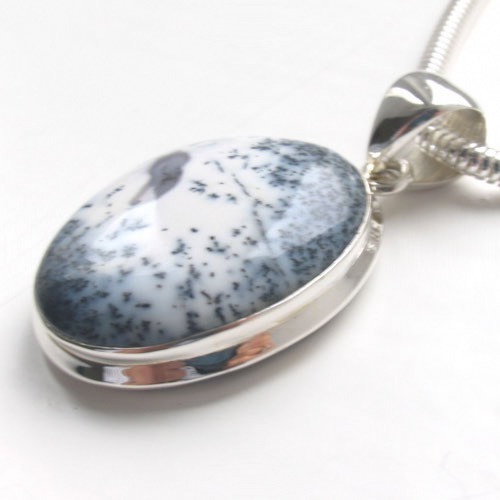 What a great gemstone pendant this is! 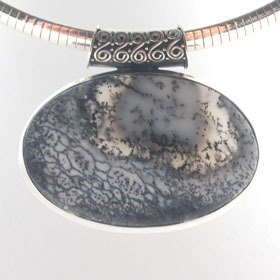 If you love the subtlety of white and greys, dendritic agate is the gemstone for you. 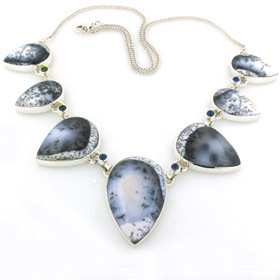 This sophisticated semi-precious stone is a wonder of nature. 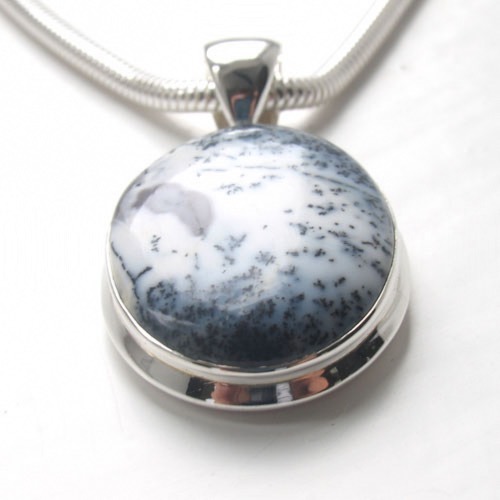 The intricate patterning in shades of grey on white often depicts a winter scene and this pendant is no exception. 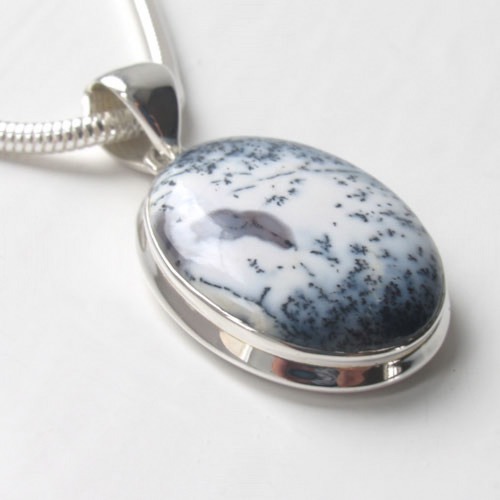 The agate is neatly set into a sterling silver frame which sets off the cool colours beautifully. 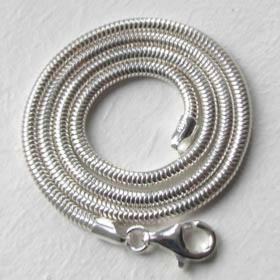 Finished with a sleek bale, this is a wonderful piece of jewellery. 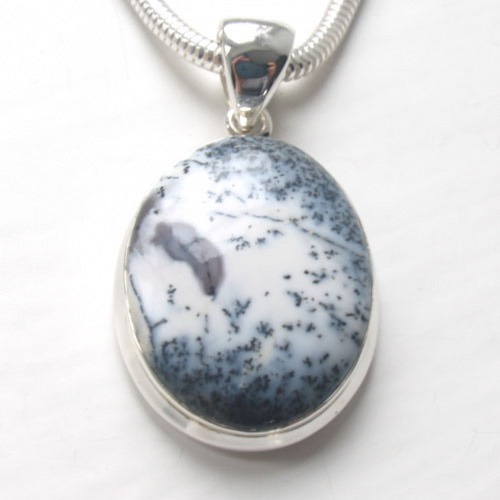 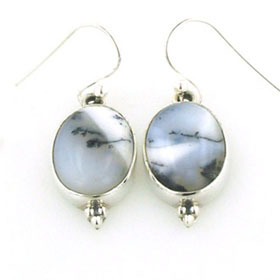 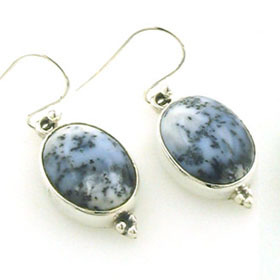 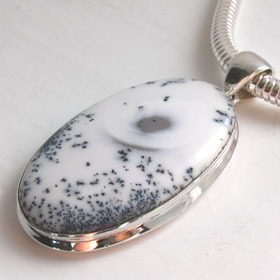 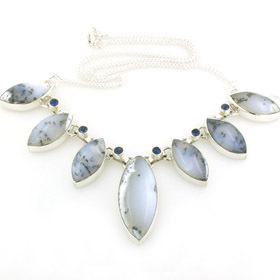 See more dendritic agate jewellery. 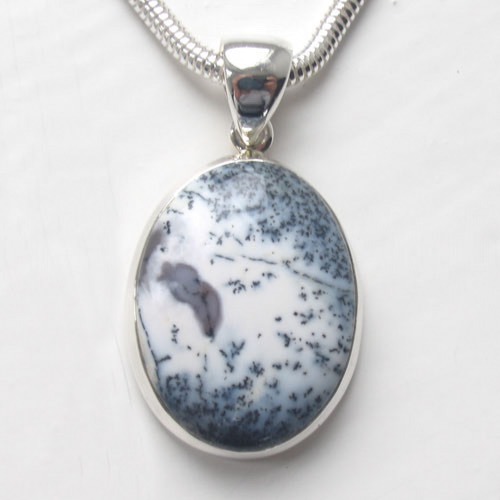 Photographed with this dendritic agate pendant is our silver snake chain, width 3mm available in lengths 14" to 40". 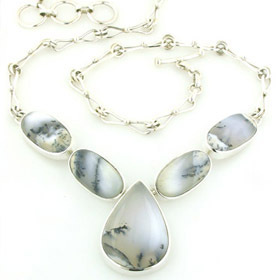 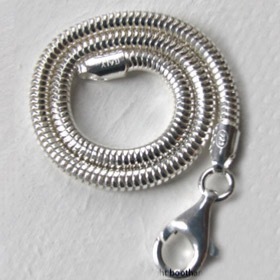 See our entire collection of silver chains to make your own choice.